A weeks worth of ballet looks displayed ! Tutu to start the week off. A nice peachy pink knit to keep me warm on this cold day. Game face is on! Finding my autumnal colours here with browns, burnt oranges and yellows. Love how this skirt flows. Dark and interesting ?!? Long skirt needed for rehearsals and a belt to clinch the waist in. Belt - designed by me ! A more relaxed vibe with fringe swept back in a headband. This top was my mums, she was going to throw it out I was like ‘ No ... this is perfect for the studio, please I’ll take it !’ ... I did ! Powdered, soft colours for today . My body feels tight and tired, hiding it all with a smile and lots of ballerina style ! 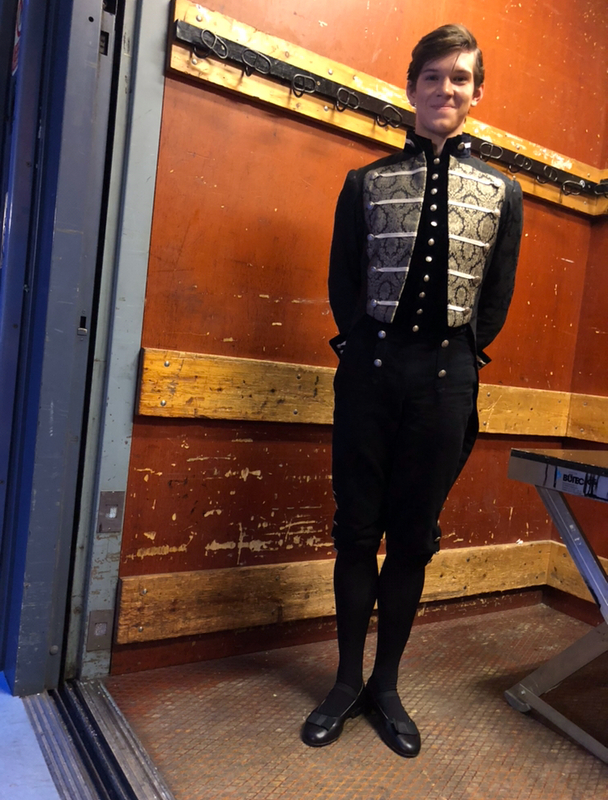 Outfit needed just for ballet class before show. So a simple look to get me warm fast is needed, however can still go fun with colours ! On 0.0000001 acres of land enjoying an Earl Grey. It may be 12 degrees but the legs are out ! Time to rest those tootsies. Third in my series, I wanted to focus on primer. Primer is used for under your makeup, it gives your complexion a little boost, blurs blemishes and amps up the radiance ! I have only in the last year started to use primer with stage make up, and I have to say it has not just giving a dewy look but also helped to prevent breakouts that you can sometimes get when wearing such thick make up every night. Also, after long days in the ballet studio and heavy shows in the evening you find by the morning your skin looks tired, no matter how much moisturiser you put on it needs a booster, so primer is a big thing in my life right now ! I have knuckled down on a few of my favourites.. The pearl tint creates that lovely soft focus effect. At £12.50 i think it’s an excellent purchase for its price. I really like this one ! It’s great if your wearing heavier foundation ( like stage make up ) and really does last ! A great find. The dropper applicator in this lightweight luminizer, lets you add a dose of glow to your foundation. Or moisturiser for a natural, no fuss face. I love it !!!! It gives me that ‘just had a holiday’ look. I just used primer for this shoot. Wearing and shot by designer Conner Ives. It’s advertised as a moisturiser but I feel it acts more like a primer... It’s divine ! It’s super light but gives you that look you get when you’ve just have a facial ! There is a downside.. it’s on the pricy side. This series of 10 snappy questions offers a look behind-the-curtain and gain an insight into a dancers stylish lives. Solomon Golding, dancer with San Francisco Ballet and in my opinion a style leader ! What style do you like most in the studio ? My studio style varies depending on whether I want my body being seen or not. Most dancers have experienced that feeling of just not wanting to be faced with themselves in a mirror first thing on a Monday morning! On days like these I like to wear my Aviator Nation super worn sweat pants. They are very comfortable and allow me to reach my full range of movement without getting in the way. On days when I feel like a bit more comfortable or if I'm in coaching and really need to see how my body is working, I like to wear tights or shorts. I usually like something with a pop of colour because life is too short and really enjoy pairing those with a fun graphic t-shirt. How would you describe your fashion outside the ballet studio ? My fashion outside of the studio is very much curated by me for me. I really feel that fashion is another form of self expression for me and it is something that I have a lot more room to be myself within. It has changed a lot throughout the years and I like looking back at outfits and knowing exactly what I was going through at that point in time. I wear hats and I think they are a motif for me. At the moment I'm really enjoying playing with silhouettes and illusion. Double waistlines have really caught my attention and I am liking the idea of fashion not being so much of what you wear but how you wear it and have had a lot of fun wearing what I already own in a different way. Tell me how you have styled your home ? My home space is quite minimal. I like black, especially in my bedroom, so my chest of drawers, bin and laundry basket are all black. My bed is also black but it's a super minimal metal scaffolding frame. I love to be surrounded by plants so I have plants in my room and the pots are black also. What’s your favourite meal to cook ? I don't cook at all. Some of the guys in San Francisco Ballet took me to the most amazing Thai restaurant called Bai Thong and I'm a little bit obsessed now. Also California has the best Mexican food outside of Mexico so I can be regularly found at one the amazing Mexican restaurants in San Francisco. What your number one make-up product or beauty ritual? I recently changed my foundation for shows to the Fenty Beauty collection and it was the best thing I've ever done. I also wear the same colour as Rihanna so I'm well chuffed about that. My skin always gets so irritated by shaving but I recently found an amazing lotion called Tend Skin Solution and I use it after shaving and I barely get razor bumps anymore. I also discovered this amazing vitamin-E oil that's hyper concentrated called 'Sundown Naturals Vitamin-E Oil 70,000 iu' and has done wonders on my skin but I'd suggest mixing it with Palmers or another moisturiser as it is very viscous and is hard to spread on your skin by itself. What do you eat before a big show ? I usually eat at 5pm for a 7:30pm show and that would be a normal sized meal of whatever I fancy. I wouldn't ever eat a curry or anything spicy before a show for obvious reasons but other than that I'm not that restricted on what I'll eat before a show and it varies depending on what I'm doing in the show. Sometimes nerves might mean I won't eat until after the show. What do you get up to on your day off ? On my day off I like to sleep a lot. I recently moved to the US and going to the cinema is an experience and a half. Everything is super sized and loud and amazing! I also like to work on things like my website or work on outside projects that I don't have the time to give attention to whilst working. Where is your favourite place to tour ? My favorite place to tour probably has to be Japan. I just adore Japan. It's so eccentric and I really appreciate the culture and I could also live off of sticky white rice and Japan is definitely the place for it! A close second would be New York City and I really enjoyed Chicago and Washington DC when I went with The Royal Ballet. There is a great series of books called The Last Interview. They are a selection of interviews with famous individuals who have now passed on. I read James Baldwins, a famous gay African American writer and activist, and was absolutely humbled by the intelligence and eloquence of his answers about race, sexuality and religion especially from a gay black man in the midst of the Civil rights movement in America. 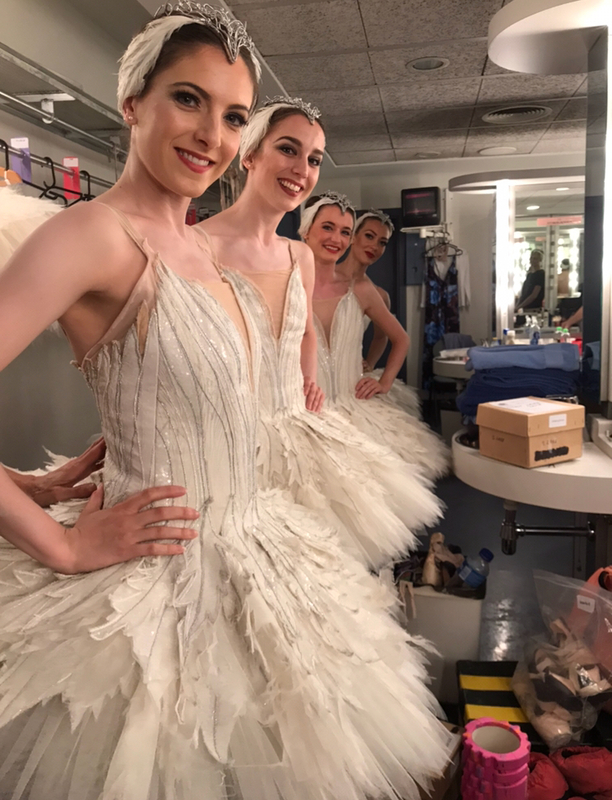 Is there anything you are doing outside of the ballet world you would like to share ? I recently went to Los Angeles to shoot a music video for an amazing musician and song writer called Harrison Kipner. It was shot and directed by Brantley Gutierrez who has made music videos for Arcade Fire and Diplo so I'm super excited to see the finished product. I was also recently interviewed by a Nigerian based magazine called 'A Nasty Boy' which explores otherness in people, culture and society. To see more of Solly..
As a ballerina we can’t wear dark nail polish while we are performing for lots of reasons. Firstly, it’s a bit too individual and it’s distracting at the end of your fingers, hands are so expressive in ballet, you don’t want anything to distort that. Even when I was a student and not performing my teacher wouldn’t allow it, ‘not classical’ was the reply when I enquired. However I like the ceremony of putting on nail polish and it makes me feel ‘done’. So to get around this I wear pink or natural like a lot of other dancers around the world. I have a large collection of pink nail polishes but I thought I would ‘ballerina test’ all the ballet inspired ones to see which ones hits top spot ! I had to start with Chanel, it’s super luxurious ! The polish was a very natural pink, with a high shine. It lasted for 3 days without any chips, I think for its price, however, it should last a bit longer. Was very impressed with this one. It’s quite watery while applying but it dried super fast, a soft pink and left my nails very strong as well. Bonus ! A very reasonable price with a little shimmer. However the tone was more ‘Barbie pink’ than ‘Ballerina pink’. Liked this a lot. But it is a little too dark for on stage. Applied this on my toenails instead. So, one of my favourites! Was a slightly dusty pink, which I liked, and lasted for ages, which I loved, and the application was satisfying if you know what I mean ?!? My top 5 ballet costumes from this season. It was a tough one this year ! So beautiful and dreamy this costume. It glides with you while you dance. I love the extra tulle around the arms, creates that romantic / eerie port de bras. Also nicely nipped in at the waist. This role has a few costume changes but this particular costume shown below I really like. It also comes with a huge array of accessories, white gloves, veils, muffs and a very luxurious coat ! The coat is on the heavy side, like, really heavy, but you only do a few steps before you get down and dirty with the big dancing ! I think this coat screams Dolce and Gabbanna, what do you think ?! Such a beautiful costume this one. It also fits me perfectly. I love how the sleeves don’t cling but drape just above the elbow and that the actual tutu isn’t too stiff but hangs slightly past the bodice. Dreamy. 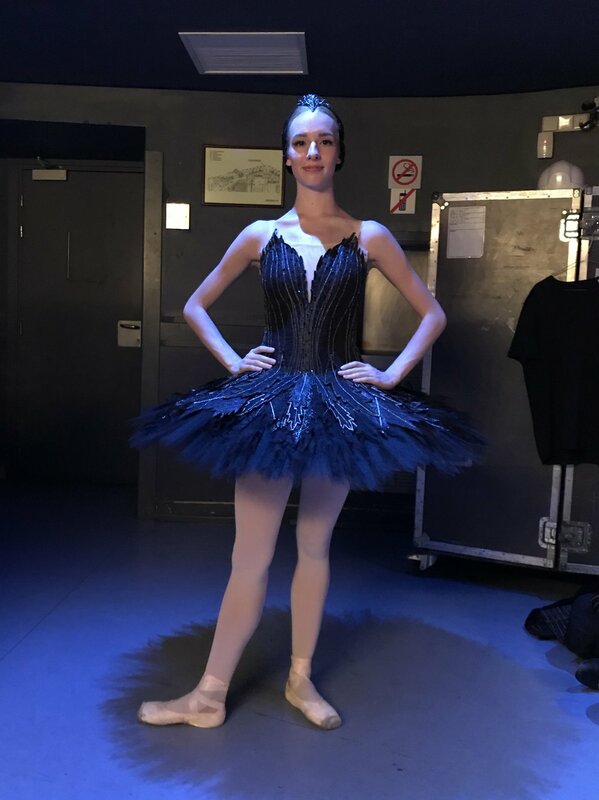 This is the Spanish Princess costume from The Royal Ballet’s new production of Swan Lake, designed by the incredible John McFarlane. It has so much depth for a tutu. In layer and richness of colour and the huge array of materials used, velvet and silks complete the look. However this costume needs to be worn a few more times ( like 50-75 ) to be perfect ! It’s a little stiff and you sometimes get this with new tutus. Ballerinas ( and their male partners ) love a tutu when it’s been a bit worn and used ! Yugen was a new 1 Act ballet this season choreographed by Wayne McGregor to Leonard Bernstein’s score ‘Chichester Psalms’. 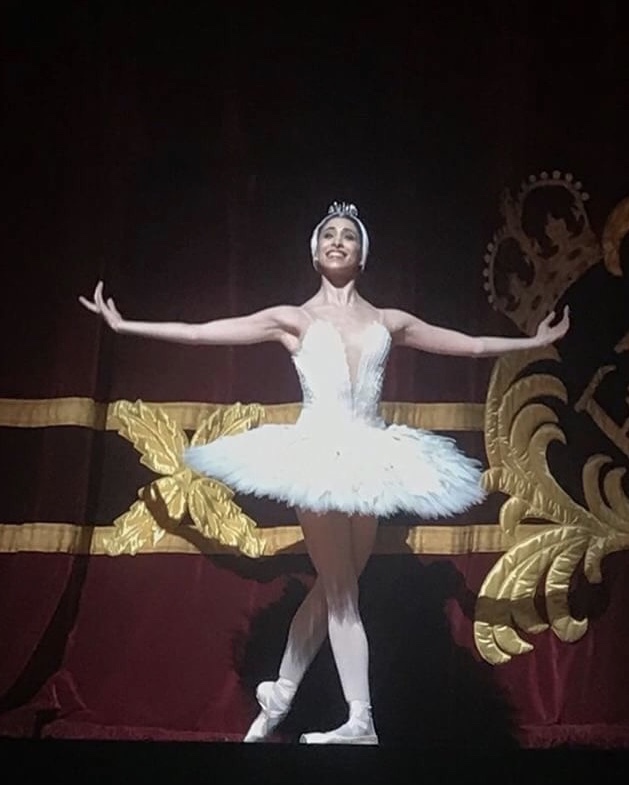 It was an incredible ballet and I was very lucky to have had such a divine role in it. All costumes were gender neutral, in tones of burnt reds. I loved how I was wearing the same as the men on stage yet played a feminine role, it was incredibly empowering. The silk material draped when you danced and created shapes with your body. Hopefully this ballet comes back to the Opera House soon ! 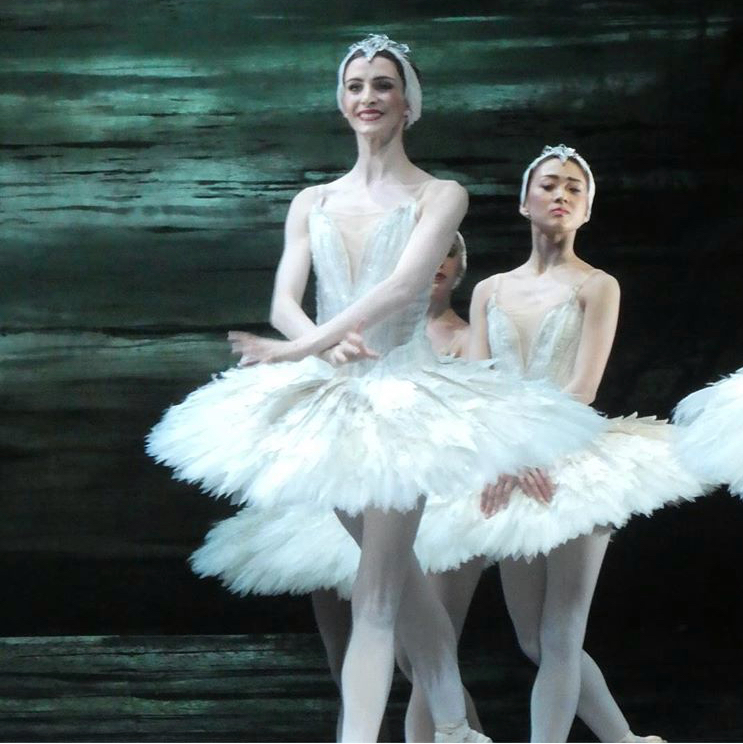 Here is a closer look at the beautiful costumes from The Royal Ballet’s new production of Swan Lake. Designed by the talented John McFaralane. YASMINE AS THE DIVINE YET WICKED ODILE !